If an incumbent YB and MP is dropped from the lists to contest in GE13 there will be all sorts of reasons handed to him/her. But when it involves health there is no choice but to step aside to someone who is capable and has the energy to serve the people of the constituency. 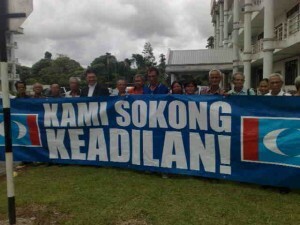 41 independants took the field in the last Sarawak State elections and only one(1) came out tops to stand tall. One had a dream to be a GIANT SLAYER while the other took the chance to swap seats at the very last minute and the GODS were smiling towards him. Tedewin Ngumbang and George Lagong are two very close friends who knew each other from the earlier years in PBDS to PRS. One of them was unceremoniously kicked out from PRS as he was one of the many so called “recalcitrants” who challenged James Masing as the President of PRS and who seconded the motion to “censure” the President using Article V111,clause 19(a)of the Party Constitution . (copied letter to Penolong Pendaftar of ROS on 15th June 2006) The reason for the action taken was to prevent the party from deregistration. 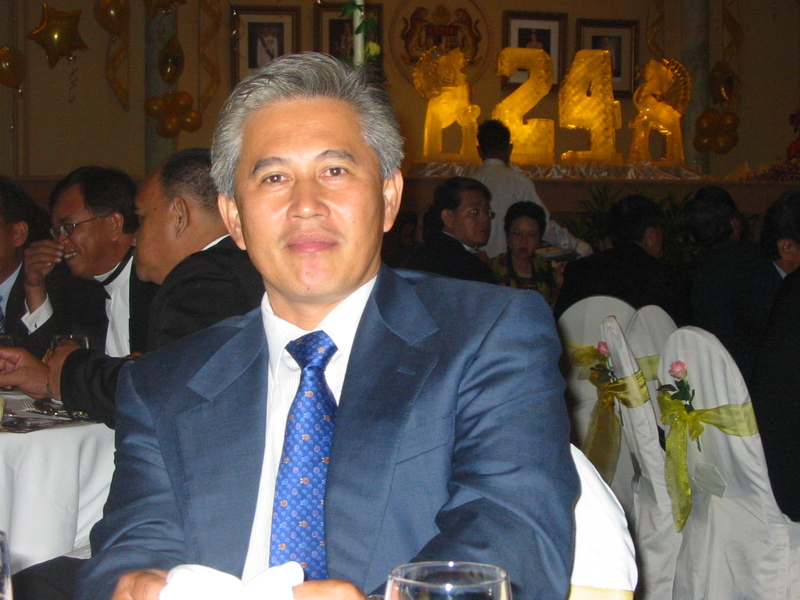 George Lagong was once a campaign and operations manager for James Masing in the earlier years in PBDS. In a last minute twists he opted to stand in Pelagus as Independant instead of in Baleh against James Masing as a SNAP candidate. Tedewin meanwhile saw the opportunity that as an independant he could and might have been a power broker in this election.He left PRS as deputy information chief and had everything going in PRS but he blamed ‘Taib’s bullying PRS’ as one of his reason for him to resign. Tedewin was putting his plans in action looking at some (6)six constituencies where he felt the independants might just have a chance to win. He saw the change in the world order in some developed countries like Australia and New Zealand where independants had a field day. He pointed out to an article by the STAR on 8th April 2011 where the headline ‘Independants daydreaming” got his heart pumping doubly fast. 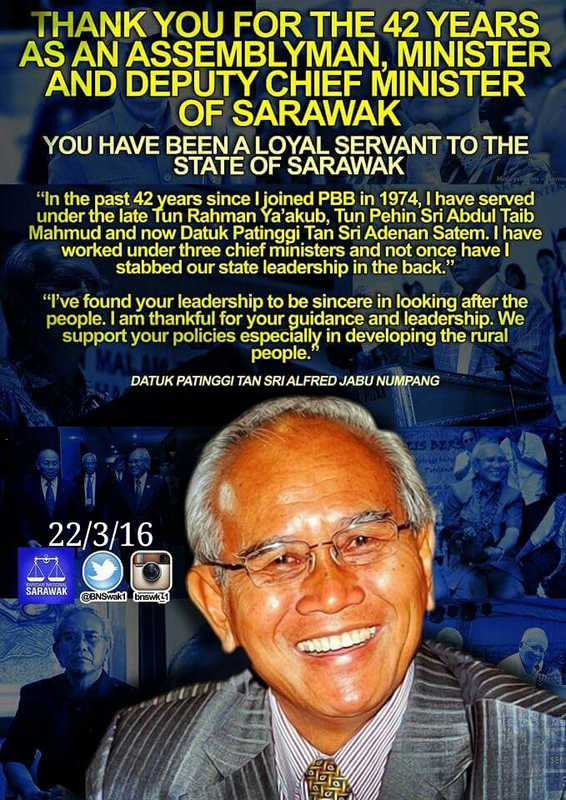 His wife even told us at audie61,”Tedewin’s got to do what he has to do or else he would have been termed a ‘coward” In the political circles he was even being touted to be financed by James Masing(PRS) and even Awang Tengah(PBB) to see the end of Jabu who has helmed Betong for a good 37 years. Why was George victorious while Tedewin was humiliated at the polls..? We met Tedewin at 9898 coffeshop his favourite haunt where we wanted to “tahpow-takeaway“our “ayam penyek”.Tedewin said in this constituency of 8109 N31 Layar the turnout of 5934 voted for BN Alred Jabu 3703,PKR Stanley Embat 1787,SNAP Joe Unggang 183 and Ngumbang @Kibak Datu (ind) 170. He said his sources said Jabu was so afraid that he capitalise on the government machinery and also his personal wealth to ensure that the pulls through. Tedwein said he can ‘walk tall” as before the 6th of April he was informed by his sources in Betong that Jabu has called him to come infront of many “tuai rumahs and penghulus “and take Jabu on. He came to the nomination centre and Jabus face was even darker than charcoal. There was also a dispute on the nomination form where Jabu put his profession as Deputy Chief Minister. Technically this is wrong and Stanley,Joe and Tedewin voiced their dissatisfation with the returning officer. On another day Jabu would not have made it and he could thank his lucky stars he stands to serve another day in the cabinet says Tedewin. Jabu’s campaign manager has the Accurate and Precise Information right.?? 170 votes for the amount spent could sent any sane man thinking its not worthwile but for Tedewin it was money used and spent to exorcise the ghosts as if it could have been a “penalty miss” We went down fighting and he said he only returned yesterday and he thanked his supporters with a dinner function. He meant well but it was a distant too far and to come fourth after all the promises by the people who voted Tedewin can anytme return back home to Betong with his head “held high”.He said it was a good move to see who your friends and relatives are or by your side. George he said,” slayed both PRS and PKR candidates and he secured 5740 beating Stanley Nyitar @ Unja Malang of BN/PRS 2903 and Edward Sumbang Asun (PKR) 1171 with a mjority of 2837 in Pelagus with a voter strength of 15322. The turnout was 9986. George made used of the “hidden hands” which was very instrumental in getting him into office. Of course the recent spat with some personalities which James has openly gone against did assisted George more than he could have imagined. James has also said the amount of money flowed into and used by the independant was something which must be investigated. George had also used his experience in the last parliamentary elections to good use. He knew some friends betrayed him openly in the lasts elections and knew that only family which are close can be trusted. He used the connections which he has built through the years being with the Assemblyman of Pelagus Larry Sng to his greatest advantage. Larry’s nomination which was thrown out by PRS was the trump card. He knew the people of Pelagus is still very much a favourite with the voters and Larrys workload and dedication to the constituency was second to none. They saw in George something similar and George even had “cheques” drawn out “some reliable source” to assist minor immediate problems during campaigning. Both the independants have different task at hand and George after failing but coming so close in the last parliamentary knew he had to break his duck. Tedewin had a different agenda and he was using his grandparents past history to assist him.There was too much negative talk about him in the political circle for him even to dream of not standing. Their own personal agendas plus substancial backing from behind was enough for them to go for it.After the 16th of April George was elected as the New Peoples Representative for N54 Pelagus while Tedewin lived to fight another day for a seat in N31 Layar. 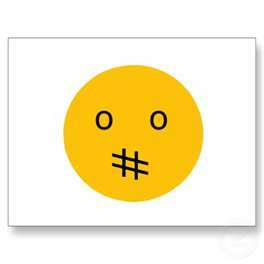 Both of them have been badly bruised but the Gods smiled at George for reasons which the constituency will find out in due course. 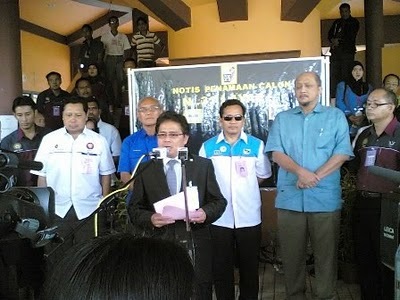 Our earlier article:- It seems that at this present period barring any withdrawals the PBB Youth posts would see a straight fight between Incumbent MP YB Fadillah Yusof (Deputy Federal Minister Science, Technology and Innovation ) against ADUN YB Karim Hamzah ( Sarawak Backbenchers Chairman and Former Deputy Youth Chief). Our PBB informed source says that the Official announcement will be on Monday at 3pm. The Election scrutineers will double check all candidates to avoid overlooking bankruptcies,police records and other miscellaneous wrongsdoings which will jeorpadise PBB. Those who do not understand, welcome to Sarawak – ask your Sarawakian friends. Konpom Karim lwn Fadilah. 21hb cabut undi utk semua jwtn. Vice Pesaka 2 Simon sindang. PBB Main Body nominations will close on 21st February.